IUCN GGO is pleased to share a two-part video series, “Harnessing Climate Change Mitigation Initiatives to Benefit Women” from the Institute for Global Environmental Studies (IGES). 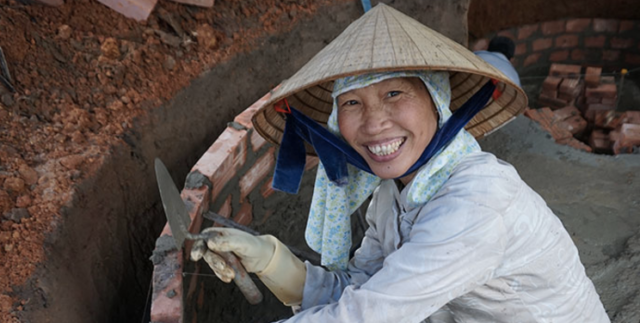 The documentary series follows some of the work carried out under a project led by the Asian Development Bank (ADB) to build capacity of governments in Cambodia, Laos and Vietnam to mainstream gender into their climate change policies, plans and practices. Part one of the series is called “Empowering Women to Mitigate Climate Change: Gender-responsive Approaches”. It recounts the components of the projects and the efforts to strengthen the gender responsiveness climate change policies, plans and actions. The video also captures work and commentary covered at the Hanoi Workshop that took place from 19-20 December in Hanoi, Vietnam, where IUCN GGO contributed support and insight. Part two of the series, “Mainstreaming Gender into Climate Mitigation Actions in Nine Steps” is an instructional video introducing a nine-step process to help countries carry out such gender mainstreaming into climate mitigation policies and funding proposals, based on the ADB publication Mainstreaming Gender into Climate Mitigation Activities: Guidelines for Policy Makers and Proposal Developers. For more information on the Hanoi Workshop shown in these videos, please see this link for the Summary of the Workshop. You can also see speakers’ notes, including contributions by IUCN GGO, in the Agenda and more information about the marketplace featured in the first video in the Resource page.